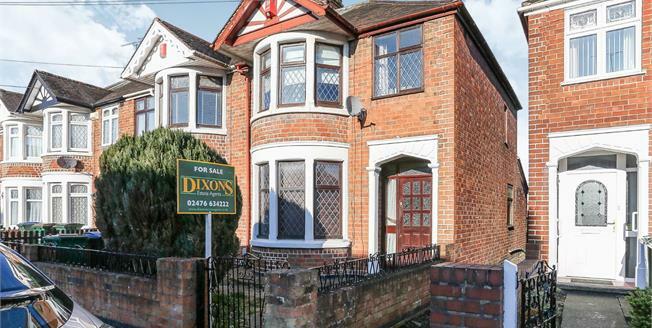 Dixons offer for sale the traditional double bayed three bedroom end of terrace property. Being sold with no onward chain and offering spacious accommodation throughout this property would make a perfect family home. The property boasts an entrance hallway, large through lounge, extended kitchen/diner, three spacious bedrooms, family bathroom, front & rear gardens and detached garage. This property must be viewed to be fully appreciated so call the office on 02476634222 to arrange a viewing.